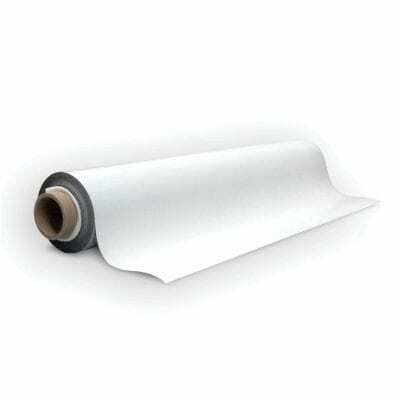 Our 620mm x 500mm White Receptive Sheet with Write on/Wipe off Laminate and Adhesive has a width of 620mm, a length of 500mm and a thickness of 0.85mm. One side is white with a write on wipe off laminate and the other side has a self-adhesive backing. This sheeting is a receptive sheet made of iron particles contained in a polymer matrix and is therefore not magnetic here magnets will be attracted to the sheet. 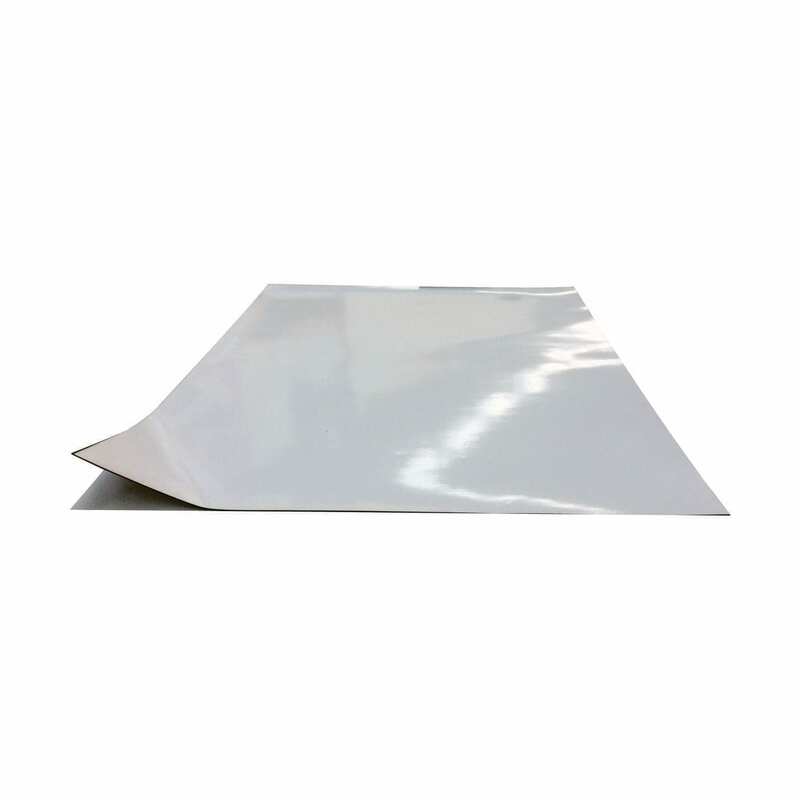 On one side there is a white printable surface that is coated with a write on wipe off laminate and the other side a self-adhesive backing that is protected by a thin paper sheet. Just peel the sheet away when you are ready to apply the receptive. 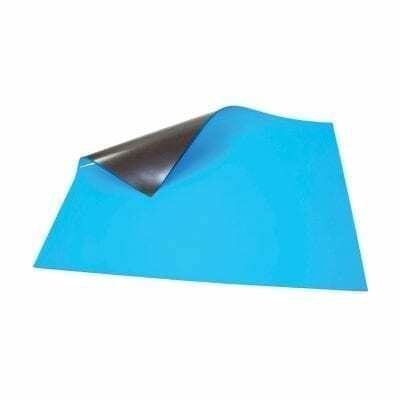 Our receptive sheeting is so easy to use, just use a handy pair of scissors or a Stanley knife to cut the sheet down to size and apply to any magnetic surface. 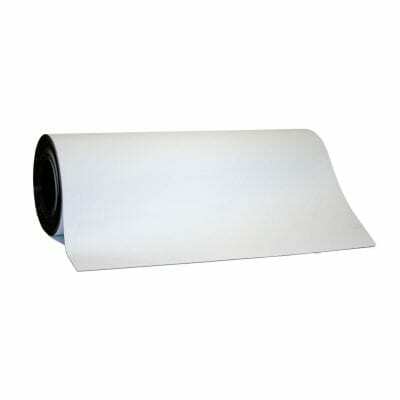 You can even put this magnetic sheeting through a guillotine to make a clean straight cut.